Founded as a non-profit within the Stanford University Athletic Department in 1998, Positive Coaching Alliance (PCA) has the mission of “transforming youth sports so sports can transform youth.” To that end, PCA has conducted more than 7,000 live group workshops nationwide for more than 400,000 youth and high school sports leaders, coaches and parents. Workshop attendees have helped create a positive, character-building youth sports environment for more than 3 million youth athletes. 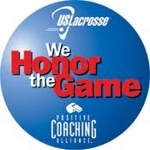 PCA workshops train coaches to be Double-Goal Coaches®, whose first goal is winning and whose second, more-important goal is teaching life lessons through sports. PCA sports parent workshops cultivate “Second-Goal Parents,” who focus on life lessons through sports. PCA student-athlete workshops produce “Triple-Impact Competitors,” who work to improve themselves, their teammates, and their sport as a whole. PCA has the support of elite coaches and athletes on a National Advisory Board , including National Spokesperson and coach of the Los Angeles Lakers Coach, Phil Jackson.